I’m struggling to write this recipe. All I can think about is how much I didn’t really like duck until I made this dish. And at the same time, I think it’s bad form to introduce a recipe by telling you I don’t usually like the main component. But in the name of honesty and transparency, that’s exactly how this post is going to open. Perhaps you’ve been on the fence about trying duck for the first time. 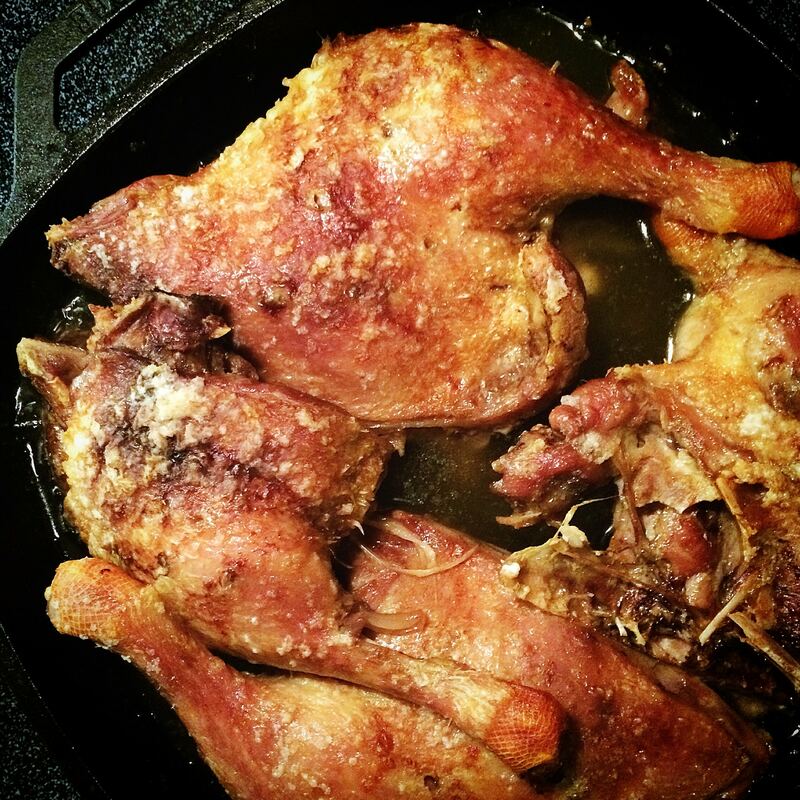 Perhaps you love duck confit and you’re looking for a new way to serve it. Or you might be like me, and be convinced that this is a dish you can proudly serve at a party. By the way, if you really do enjoy duck, here’s my smoked Duck L’Orange recipe. There are so many things I love about this duck recipe. 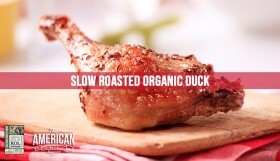 First of all, I am using Organic Duck Legs from the awesome folks over at KOL Foods. 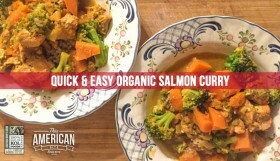 I have written about KOL Foods a number of times, in fact, here are all the recipes that I have shared using their fish, meat and poultry. KOL Foods only sell organic and grass fed animals which means they have eaten nothing but their mother’s milk and fresh grass from the time they were born. Organic certification means the meat is hormone free which makes it much better for you. If you’re looking for kosher, organic, and grass fed meat, I believe that KOL Foods are the only supplier of organic meat in the US that do not finish their animals on a corn feed. 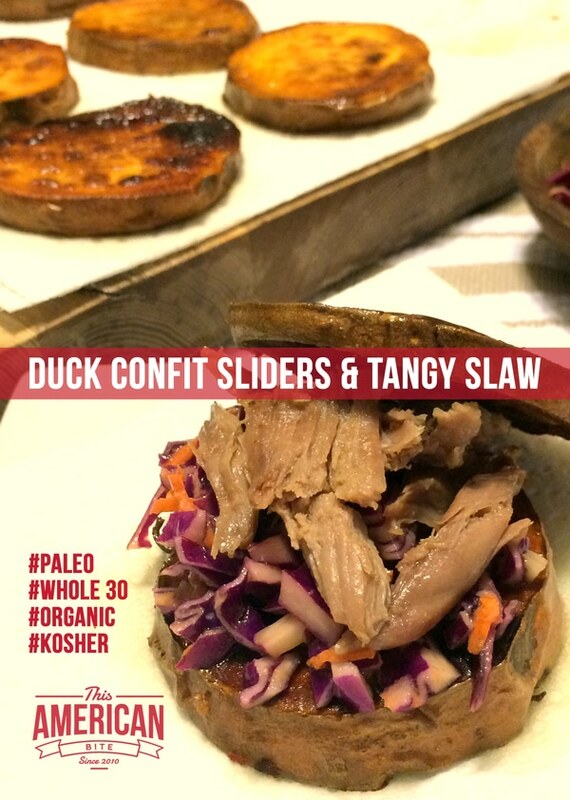 Secondly, this entire appetizer is entirely “Whole 30” approved and no one would ever imagine that these Duck Confit Sliders were part of a lifestyle that some would consider limiting. 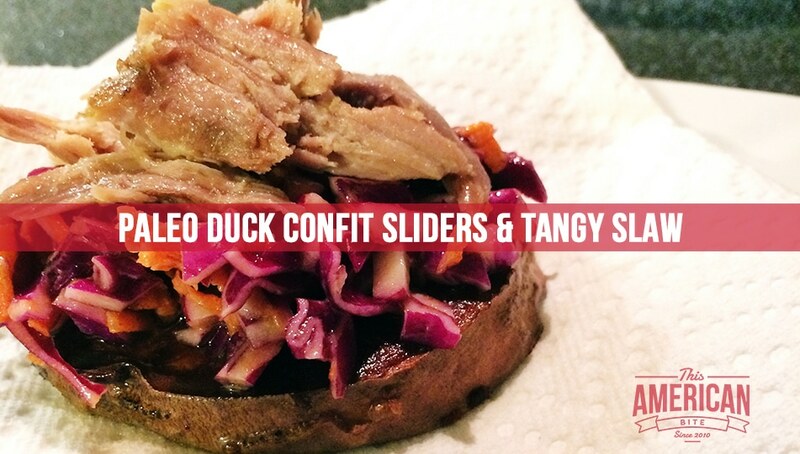 Nothing in this recipe, the slaw, the duck or the sweet potato “bun” are remotely bad for you. The first thing I did was prepare the duck. Real duck confit takes days to prepare and cook, so I was pleased to find Hank Shaw’s “Ghetto Duck Confit” recipe (I can see these sliders working well with his gizzard and wild mushroom confit too). 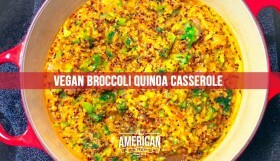 To make this easy to make, I am breaking down the dish into three mini-recipes (all of which stand well on their own too!). 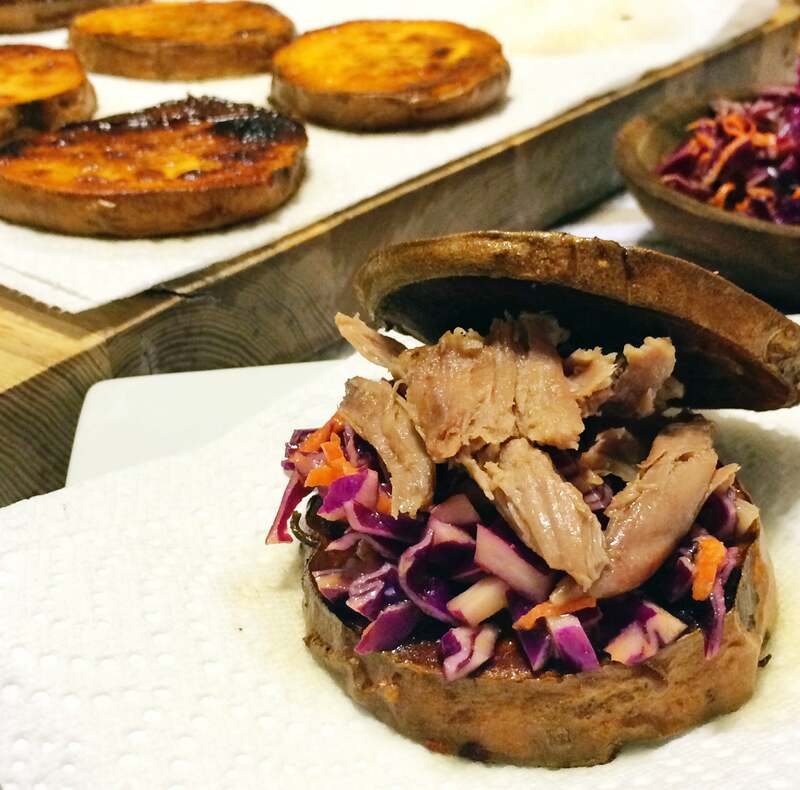 Once you have made the Duck Confit, shred it, and present it on a fried sweet potato medallion with the slaw. 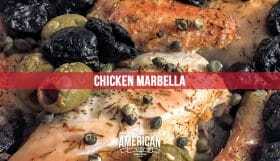 You’ll find all three of these recipes below. Pat skin of the duck dry with a paper towel. Use a pin or sharp knife to pierce the skin of the duck. Place the duck in a deep casserole dish or cast iron skillet (I used this one). Don’t let it overlap too much. Allow the duck to become room temperature by letting it sit out for 20 minutes. Put in the oven at 285 degrees (do not pre-heat the oven, you want the duck to warm with the oven) for two hours, then raise the temperature to 275 degrees and cook for a final 15 minutes. Remove from the oven, separate the duck fat so you can use it to fry the sweet potatoes. Allow to cool while you make the sweet potatoes and shred for your sliders. The duck will take upward of two hours to cook which gives you plenty of time to make your slaw for the sliders and slice the sweet potatoes to instead of slider buns. 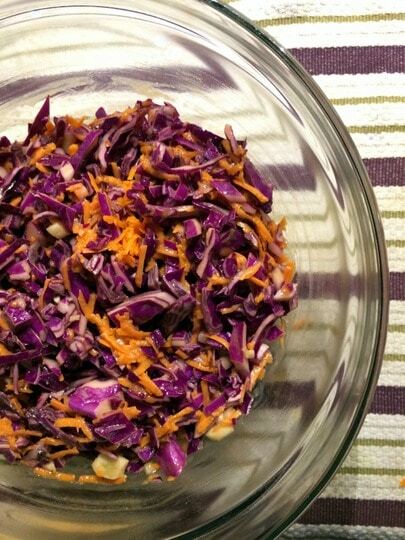 I loosely based the slaw off of this recipe from the rising spoon and I had to stop snacking at it so I’d have enough for my party appetizer! Finley chop the cabbage and mix with the shredded carrot. Combine the remaining ingredients in a mason jar and shake well. Store in the fridge until ready to serve. The final component of this recipe are the sweet potatoes that keep these sliders gluten free and Whole 30 friendly. I fried the sweet potatoes in the fat rendered from the duck because it has a higher heat point than oil so it doesn’t become a trans-fat during the cooking process. And it’s simply delicious! Now that I think about it, I should revisit my Swedish meatballs and create a whole 30 version just to serve on these sweet potato medallions! Slice the sweet potato into quarter to half inch slices. Heat the duck fat to a medium-high heat. 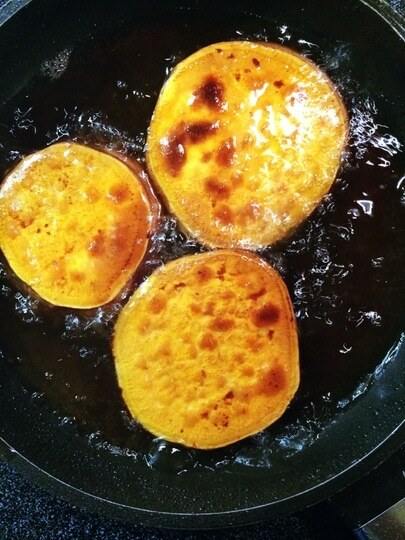 Fry the sweet potatoes for three minutes on each side. Set on a piece of paper towel to absorb excess oil. Once you have all the components of this recipe ready, assemble them and serve them to your party guests. There’s so much flavor that there’s no need for mustard or ketchup with these and make sure you visit KOL Foods and order your duck leg quarters because this dish deserves to be at your next party!